Syllogisms are three part deductive arguments. 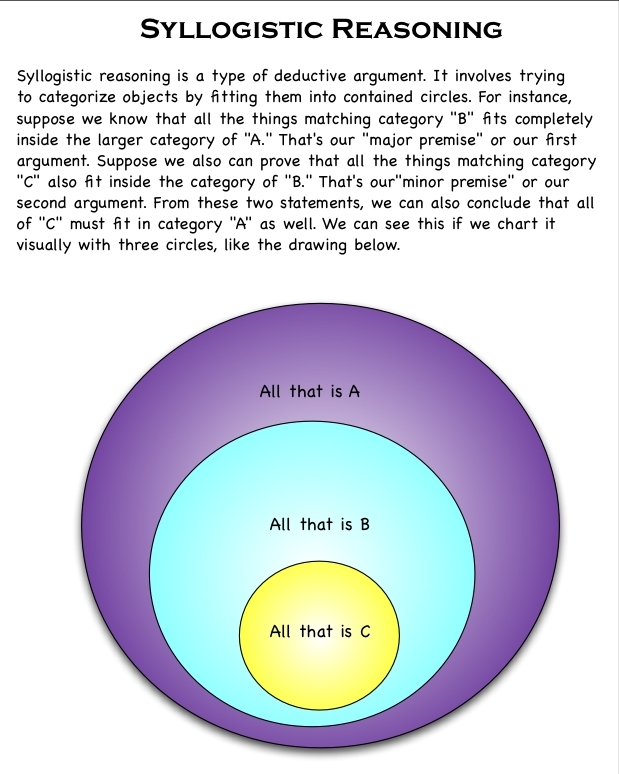 They assert, if all of category B fits into category A, and if all of C fits into category B, then all of C must be A as well. The chart below will provide a visual depiction. Go to Logic materials. Click here to download a syllogism exercise.